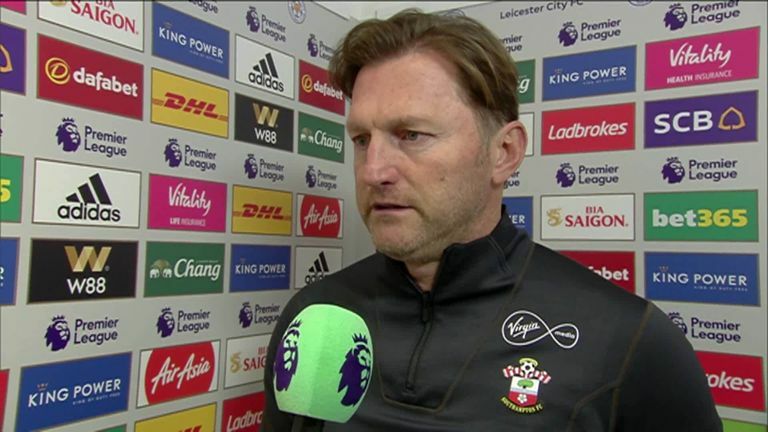 Ralph Hasenhuttl admitted he was on edge in the second half as 10-man Southampton hung on to beat Leicester 2-1. 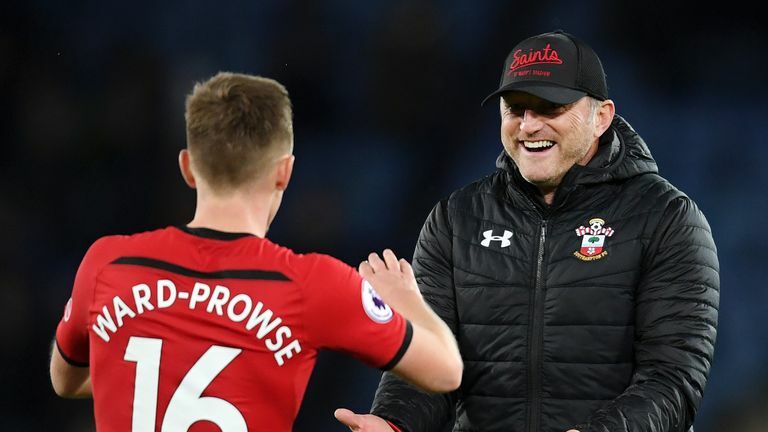 Ralph Hasenhuttl praised Southampton’s passion after they held off Leicester City with 10 men to win 2-1 at the King Power Stadium. After Saints took an early lead, Leicester looked to have been given a way back into the game when 19-year-old full-back Yan Valery showed his inexperience by picking up a second yellow card (45). However, Shane Long netted just 90 seconds later (45+1) to give the visitors a two-goal cushion heading into the break and Hasenhuttl's men survived a barrage of Leicester second-half possession to pick up their third win in seven Premier League games since he took over from Mark Hughes. The Austrian was proud of the way his players implemented his plan in the second half. "We had to be compact in the second half and try to defend everything," he told Sky Sports. "I think the manner of the performance was good, showing passion. "When they made it 2-1 I thought it would be too long for us to hold on. But the way we defended made it very difficult for the opposition to score. The longer the game went on the steadier and more balanced we were. "That was the key to the success." Charlie Nicholas was very impressed with Southampton during their 2-1 win against Leicester and says they looked dangerous on the counter-attack. Valery had been playing on the edge after a flare-up between him and Ben Chilwell resulted in the Saints youngster picking up a yellow card. He did not learn to cool it and his rashness continued as he received a second yellow after tugging back Marc Albrighton. Hasenhuttl admitted he was planning to replace the 19-year-old at half-time before he was dismissed, but also questioned the referee's decision. "I expected the referee to give him a warning before showing a second yellow card," he said. "I wanted to take him off at half-time but the chance was then gone."